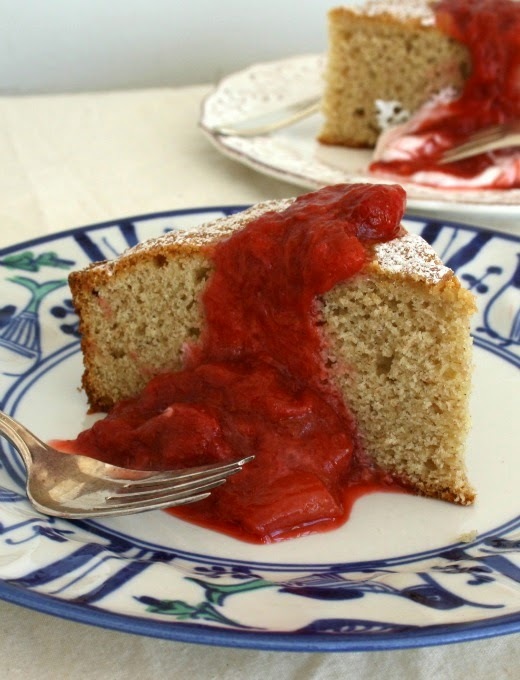 This buckwheat sponge cake is a perfect cake for spring, delicious served with whipped cream or rhubarb compote. 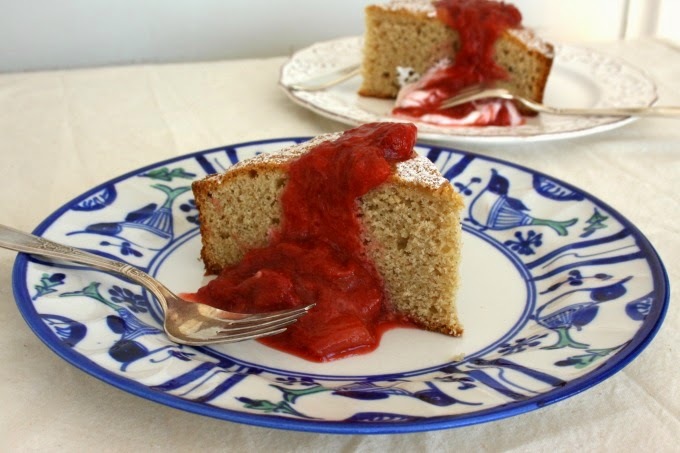 A beautifully textured sponge cake made with flavourful buckwheat flour. When we were little and spring weather finally arrived we couldn’t wait to picnic. Even before the snow had completely melted mom would pack us little lunches in bread bags and my twin brother and I would march off into the back woods to look for a sunny place to sit and eat. Our lunch usually consisted of a peanut butter sandwich, an apple and a jam jar filled with Strawberry Quick-flavoured milk. 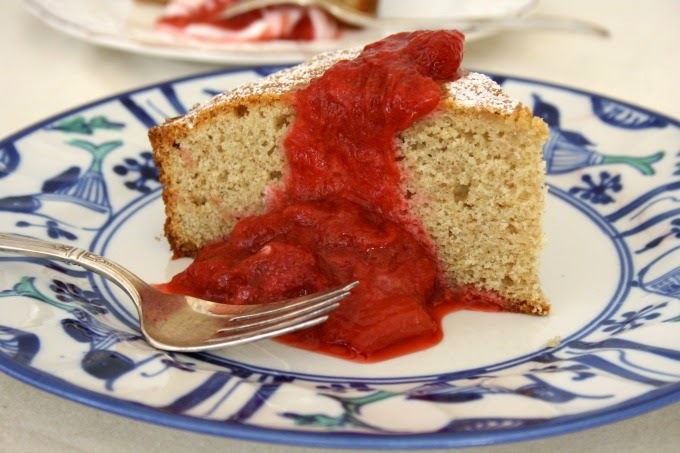 This buckwheat sponge cake is a perfect cake for spring, delicious served with whipped cream and a little rhubarb compote. My cousin Paula gave this recipe to mom more than 20 years ago, when buckwheat flour was prized for its flavour rather than the fact that it’s gluten free. Mom uses brandy when she makes this cake and I use whatever liqueur I have on hand (often Grand Marnier). Look for Speerville Flour Mill buckwheat flour (grown in New Brunswick) at local markets and Super Store. Preheat oven to 350 F. Line the bottom of an 8-inch pan with parchment paper and grease and flour the sides. In a large bowl beat the butter and sugar until creamy. Add the yolks slowly then the vanilla and grappa. In a medium bowl whisk the flours, baking powder and salt. Stir into the egg mixture. In another bowl whisk the egg whites with a pinch of salt and 2 Tbsp. of sugar and beat to soft shiny peaks. Gently fold into the batter. Scrape batter into prepared pan and bake for 40-45 minutes. In a medium pot gently simmer rhubarb and strawberries until soft and beginning to thicken (as liquid evaporates). When mixture has a stewed fruit texture stir in the cornstarch-water mixture. Cook another few minutes until it thickens a bit.